While your wedding day is one of the most important days of your life, it’s also a day where stress can play havoc if you’re not prepared. 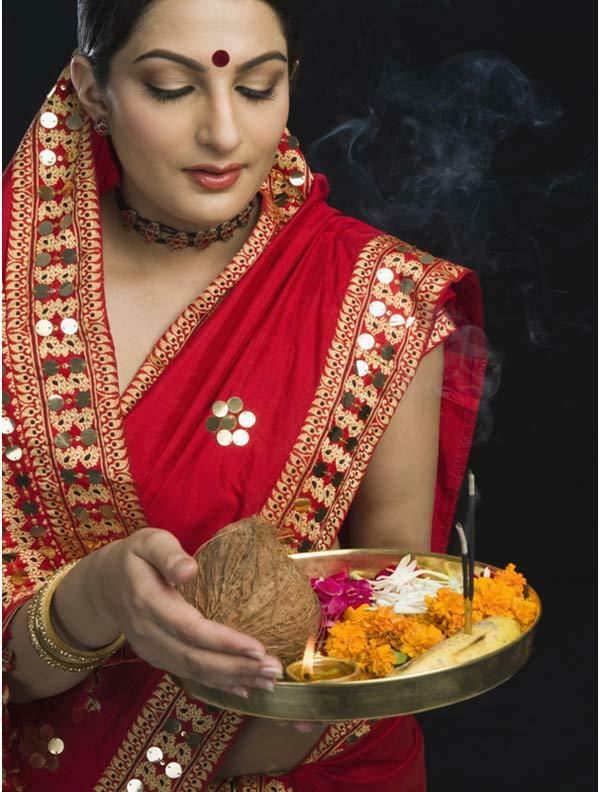 The big fat Indian wedding is no easy event to survive unscathed, so let’s get planning for it. 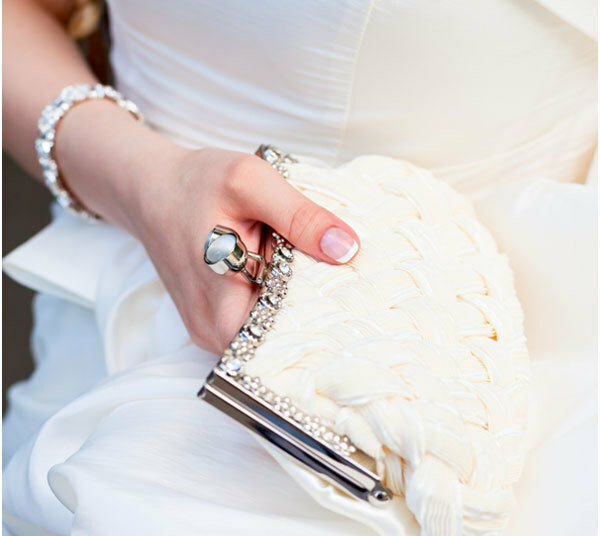 After having taken one of the most important wedding decisions – choosing your wedding outfit, the next thing that should be on your list is wedding day accessories. Every bride wants to look her best on her wedding day and you can’t achieve this without the best Indian wedding accessories to complement your outfit. After all, you don’t want to look tacky at your own wedding now, do you? This has got to be one of the most overlooked accessories for the wedding day. 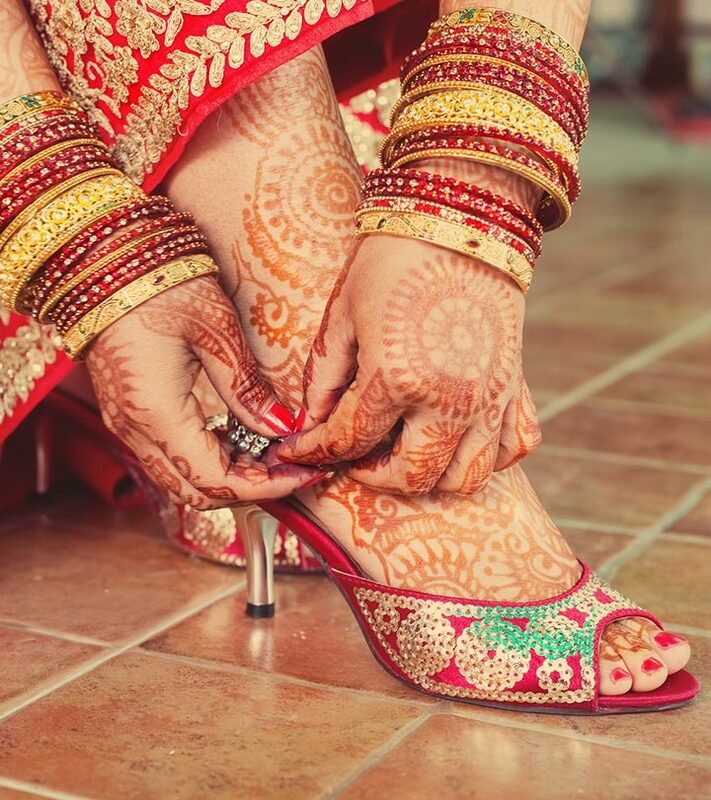 While many of you will move from store to store in search of the perfect shoes for your ‘sangeet’ and reception, the wedding day shoes are often bought in haste. 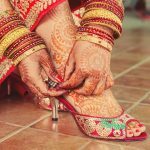 There is one thing that you mustn’t forget while hunting for your wedding day shoes. What is it? It’s comfort. You are going to be on your feet for hours and hours, and you don’t need to do this in sky high heels. Repeat after me, “I will not wear stilettos on the day of my wedding.” In fact, don’t buy shoes with heels taller than two inches. Believe me, you’ll thank me later. Quick tip: If you want them to feel even more comfortable, wear the shoes around the house for an hour every day for a minimum of seven days. This will help you to avoid painful and ugly shoe bites. Of course, it has to match your outfit, but does it have to be so tiny? Choose a ‘potli’ or a clutch that is small, elegant, and can hold something larger and wider than a handkerchief. 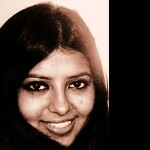 You should be able to slip in a touch-up kit with your compact, lipstick, ‘kajal’ and tissues. Don’t forget to check if your phone fits. This can make or break your look. Try not to go D-I-Y for this. If you don’t want to spend on a make-up artist, ask a friend who knows her way around a make-up kit. The aim is to look stunning and not like a clown, so keep the number of colours you use to a minimum. Save the experimental or dramatic look for the reception. Quick Tip: Try a couple of different styles and colours with your wedding outfit to zero in on the look you’ll love. Don’t even think about a French manicure unless you have a nail artist at your disposal and an hour to spare before every event during the wedding. Well, you may get the artist, but I doubt you’ll have the time. Why not opt for a French manicure? This is because you can’t afford to sport stained nails. The ‘haldi’ and ‘mehendi’ ceremony provide ample chances to ruin this pristine look. Plus, you will be eating something or the other with your hands at some point or the other. Why take the risk? Choose the classic gold, silver, red or maroon. 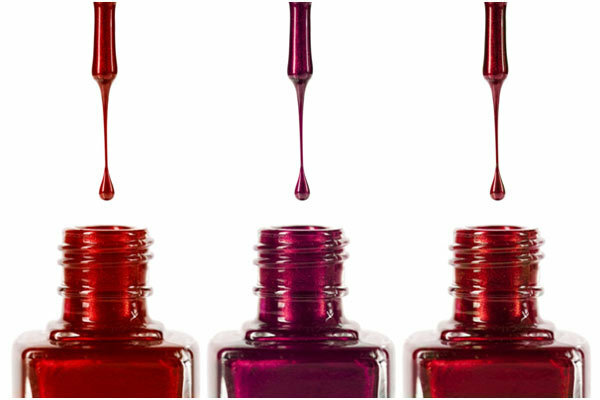 This way, even if you chip or stain your polish, all you’ll need is a quick top coat. This can be as simple or a complicated as you want. 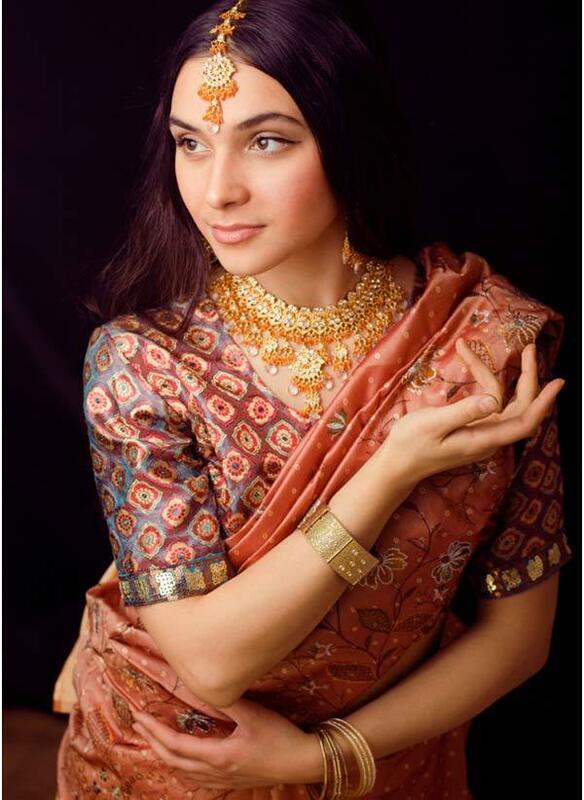 Keep other forehead decor and the size of your forehead in mind while choosing your wedding ‘bindi’. Whether you use decorative ‘bindis’ of different sizes or sandalwood paste drawings, keep your forehead size and ‘bindi’ style in mind. This decor must complement the ‘bindi’ and should not overpower your entire look. This essentially depends on which part of India you hail from. 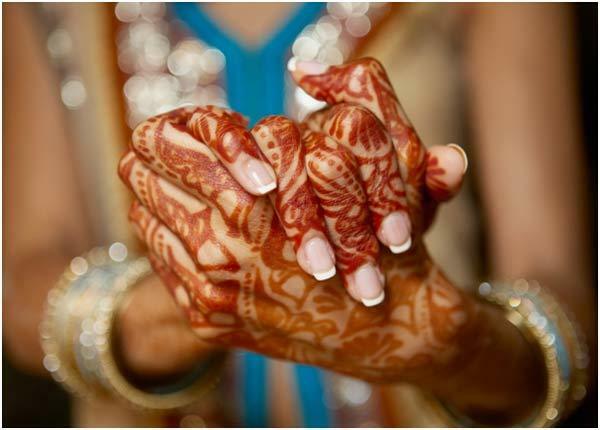 Whether you use ‘alta’ or ‘mehndi’, try it out a month and a half to two months before the wedding to make sure you have no allergic reactions. Personal taste, facial structure and budget play a big role here. Coordinate your jewelry buys with your outfit. And try to avoid chokers, even if you have a slender neck. About six hours of something poking your neck will not be a comfortable feeling. Quick tip: You do not want to end up looking like a Christmas tree. If your outfit has heavy detailing and embroidery, go easy on the bling. Choose between flowers or hair jewelry or choose both. Make sure you try out the wedding hairstyle with the accessories at least once before the wedding to avoid any surprises. This is, by far, the most important accessory. Nothing will make you look more beautiful than a smile on your face. If the nerves strike, do some quick breathing exercises and smile. You’re about to begin a new adventure. 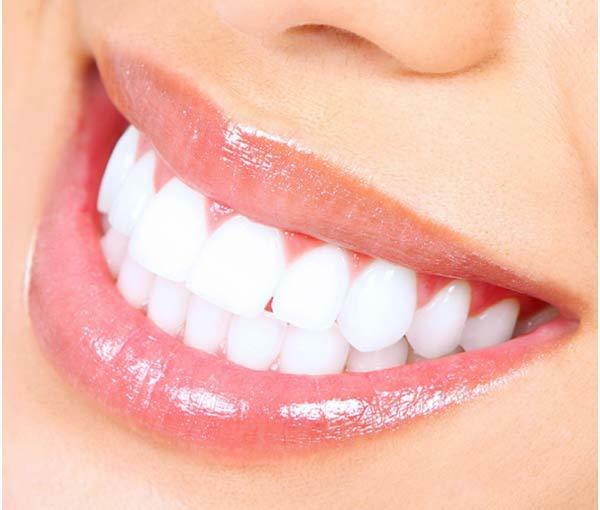 Give the best positive energy you can by flashing a dazzling smile. Now that you have all this information, spread the word. Help yourself or any bride-to-be to look her best without losing her sanity. If you can think of more accessories or have any questions or suggestions, don’t forget to drop me a line in the comments section.